An interview with Marcel Lachenmann, describing the importance of characterizing small molecules in the pharma, food and polymer industry and how NMR achieves this, conducted at MRS 2018 by Alina Shrourou BSc. Please outline what information researchers want to gain from the “characterization” of molecules. There are multiple answers to this question as there's a whole wealth of different information which someone might want to characterize, depending on the type of researcher. Some researchers are synthesizing new molecules and they want to see if their synthesis has worked. To do this, they need a quick and easy way to screen their reaction mixture to see if it contains the correct product. Other researchers may be looking at mixtures of molecules, as in consumer products, to see what the product is made up of. These researchers will want to use NMR to see if the correct molecules are in the product, or if it contains incorrect or unexpected components. How can NMR provide this information? There are a number of ways. With benchtop Fourier transform NMR, everything we analyse is either a liquid or in solution. Generally, we’re looking at chemical information, so we can see what kinds of groups are on a particular molecule and where they are located. For example, you can determine the molecular structure to verify whether a product or extract contains the correct molecule, or you can just see whether a specific group is present and use it as a plus/minus test to identify whether your experiment has worked. You can also use NMR to look at different ratios of specific components. For example, different types of fats have different ratios of unsaturated, polyunsaturated, and saturated fat. You can look at the ratio to see if it corresponds to the type of fat that you think should be present in a certain type of oil or mixture. Is it possible to determine between materials with the same molecular formula? If so, how do these differences show? Absolutely. It depends on the molecule, but you can often see some very obvious differences. Positions of peaks in an NMR spectrum are distinguished by a property called “chemical shift.” The chemical shifts of different nuclei, whether hydrogen, fluorine, or carbon, are dependent on the exact molecular environment around those particular atoms. Say you have 2-fluorophenol, where a fluorine is next to a hydroxyl group attached to a benzene ring. That fluorine would see a very different local chemical environment than the fluorine in 4-fluorophenol, where the fluorine is bonded to a carbon three positions distant from the hydroxyl group. As a result, the fluorine nuclei would have different chemical shifts. Another useful property is "J-coupling", which involves the coupling between nuclei that are connected to each other, usually through three or fewer bonds. Neighbouring NMR-active nuclei will split a peak in characteristic ways that are very helpful in determining structure. The below example demonstrates both chemical shift and J-coupling effects using two substituted benzene molecules: 1-bromo-2,4,5-trifluorobenzene, and 1-bromo-3,4,5-trifluorobenzene. These have the same molecular mass and the same chemical formula, but are easily differentiated by NMR, just by visual inspection of the spectra. As the 1-bromo-2,4,5-trifluorobenzene has three non-equivalent fluorines, there are three separate multiplets in the spectrum. In contrast, because the 1-bromo-3,4,5-trifluorobenzene has two equivalent fluorine atoms (at positions 3 and 5), which will show up in the same place on the spectrum, and one that is not equivalent to the other two (at position 4), there are only two multiplets. In addition, due to J-coupling, the individual multiplet patterns will differ due to the different numbers of fluorines bonded to neighbouring carbon atoms. 19F 1D NMR spectra of 1-bromo-2,4,5-trifluorobenzene and 1-bromo-3,4,5-trifluorobenzene. Even though the molecules have the same molecular weight, the same molecular formula, and you couldn't separate them by mass-spec, you can see that they look very different by NMR. While this is a very simple example, the principle holds true in more complex molecules, and it also demonstrates the power of NMR when looking at fluorinated compounds, which are of growing interest in both the pharmaceutical industry and forensics, as a large percentage of new drugs, both legal and illicit, are fluorinated. 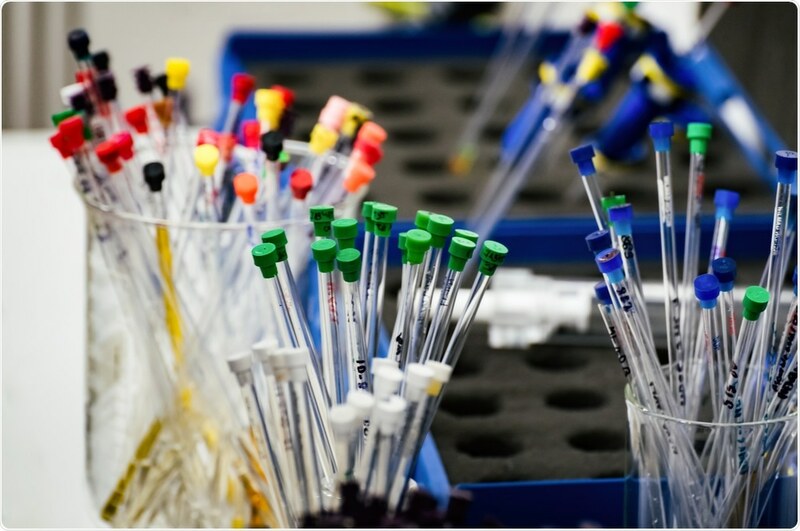 What types of small molecules might researchers be interested in looking at? Pharmaceutical industry researchers may be interested in looking at small molecules that have biological action, such as drugs. They may be looking to see whether a certain molecule is the one that is creating a response in a particular system, or they may be interested in whether a synthesis has completed successfully. In the polymer industry, people may want to check to see if they have the right ratio of different monomers in a co-polymer. Although that’s not a small molecule, it’s still something which benchtop NMR allows you to do. Please give an introduction to the Pulsar benchtop NMR spectrometer offered by Oxford Instruments. The Pulsar is a benchtop NMR, so it's a small system that doesn’t take up much room, fitting nicely in a small space next to other equipment. Most importantly, it doesn’t need a special facility; you can put it right in your lab. This is not something that is widely seen, as traditional high-field NMR instruments often need a facility built with special ventilation, a large footprint where people are not allowed, and other stringent requirements. With the Pulsar, you can have it right in the middle of wherever you're working – all you need is to be able to plug it into a standard mains outlet. There are a couple of other things that really distinguish the Pulsar besides the size. The first is that, unlike with high-field instruments, you don't have to worry about wearing watches or having your credit cards near it, as these will not be affected by the instrument in any way. You can simply place the instrument directly in your lab and just use it by dropping in a tube. Secondly, we feel very strongly about making our equipment robust. Oxford Instruments been building benchtop NMR instruments for over 25 years, and we've put them into some very rough environments. A lot of them are designed for being used on factory floors or at mining facilities, so we know how to build a product that will last and cannot be broken easily, whilst also providing reliable results even if your environment isn't perfect. The third point to the design philosophy which surrounds all of our products, is ease of use (even by non-experts). You don’t need an NMR specialist to use and maintain the Pulsar – anyone can be trained to use it, quickly and easily. All you need to be able to do is type in the name of the sample and put a tube in. For example, in our illegal drug analysis application, police can put a sample in the Pulsar and the instrument will quickly and automatically determine a match. How does the Pulsar magnet compare to that found in other NMR systems? The magnet itself is different. The traditional high-field NMR systems have a much bigger superconducting magnet, as they typically range from 300 MHz up to 600 MHz, or even as high as 1 gigahertz. As I previously mentioned, these instruments require a special room with special ventilation systems, as well as liquid helium and liquid nitrogen, which is a big expense and requires skilled maintenance operators. In contrast, our magnet is a smaller, permanent 60 MHz magnet, so we don’t have to worry about having cryogens to keep superconductors working. All we need is a standard mains outlet to run the instrument, and anyone can maintain it. To put it in perspective, the magnet in the Pulsar can be seen as a much bigger, much more precise version of those tiny little magnets that you stick on your refrigerator - and this is enough to get excellent NMR spectra. Pulsar has the ability to do many of the traditional experiments that you do at high-field, including both homonuclear and heteronuclear 1D and 2D NMR on Hydrogen, Fluorine, Carbon, and Phosphorus - a wide variety of capabilities. What types of materials/samples can the Pulsar benchtop NMR spectrometer process? The Pulsar is designed for liquids, so anything that is a liquid or that can be dissolved in a liquid is a potential candidate for analysis. One other advantage that we have over traditional systems, is that if you're just running a regular NMR spectrum and you want to put in your liquid neat, you can do that - you don't have to add solvents. In addition, if you want to use regular cheaper, protonated solvents, instead of deuterated solvents, you can do that, as long as your peaks of interest are not obscured by solvent peaks, because our SoftLock™ feature allows us to lock onto the sample as opposed to locking on the solvent. While we can analyse many different types of liquids or dissolved samples, the real question is what kind of information you need. 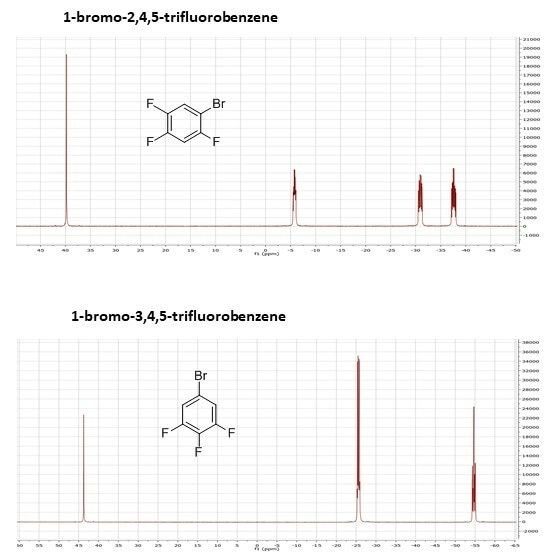 With small molecules analysis is usually very easy and you can even get complete structural characterization. When you go to larger molecules, you can often still pull out necessary information. There’s a lot of NMR that is done at high field just because people are used to doing it that way, but that could be done on the benchtop. Most often, you don't need a perfect structure a molecule or even a completely resolved spectrum. All you really need is the answer to the question you are asking. For example, you might just need to see a single signal peak to see whether you have your desired product or not, rather than the complete spectrum of the compound. Moreover, modern processing techniques, such as deconvolution, and analysis techniques, such as chemometrics, allow us to obtain reliable, reproducible information even from spectra that are not perfectly resolved. So, even for complex mixtures or larger molecules, we can often still find an answer. It really depends on the application and fine-tuning it to the Pulsar’s capabilities. A great place to start is our website. You can find information about the Pulsar as well as our time-domain NMR analysers such as the MQC+, and MQR, which can also both be used in pharmaceutical, polymer, food, and consumer products applications. Product brochures, application notes, case studies and videos are all available. Of course, if you have specific questions that aren’t addressed on the website, you can always email us at [email protected]. Marcel has many years of NMR and computational experience in academic laboratories and the scientific instrumentation industry. His undergraduate studies in chemistry at Johns Hopkins University were followed by graduate work using high-field NMR at Harvard University. Marcel focuses on Time Domain and FT Benchtop NMR applications at Oxford Instruments’ US headquarters near Boston, Massachusetts.